We helped a total of 387 animals in 2016. 354 equines, 5 goats, 19 fowl, 5 cats and 4 dogs. 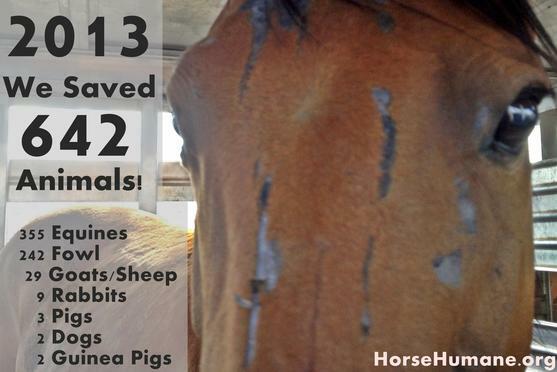 That is a lot of animals that needed our help, and we couldn’t have helped them without you. We had 139 adoptions. We are so happy that so many animals found their forever homes in 2016. We offer end of life services at every one of our shelters for those animals and their owners who cannot afford the high cost at most veterinarians. Our year end statistics do include animals that were surrendered for euthanasia. Most rescues and shelters do not include unadoptable animals in their statistics, but we believe in complete transparency and have included all of the animals we brought into our shelters, including those surrendered specifically for the Last Act of Kindness program. For more information on that program, click here. Our California shelter, which has been operating since 2003, took in 138 animals. 114 equines, 5 goats and 19 fowl all found shelter at our CA shelter. They had a total of 52 adoptions. They had 61 end of life services given to animals who were suffering. 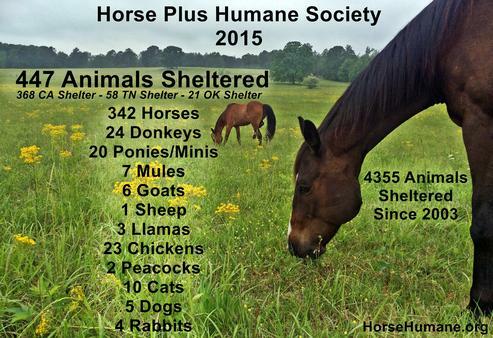 Our Tennessee shelter, which is still being set up, sheltered 88 animals last year. 79 equines, 5 cats and 4 dogs. They had 37 adoptions. End of life services were given to 23 horses. The Tennessee shelter has 37 animals in its care currently and is looking for adoptive homes! Our Oklahoma shelter sheltered 54 equines, 16 of which were from 1-Day Open Door shelters. They had 23 adoptions, and 20 end of life services, which includes horses that were surrendered for euthanasia at the 1-Day Open Door Shelters. We did a 1-Day Open Door Shelter in Wisconsin, and 56 horses were surrendered. 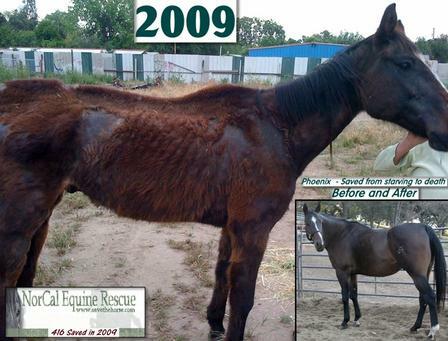 We offered end of life services and 29 horses were humanely euthanized due to old age, pain and chronic health issues. 27 horses were found to be adoptable and placed with rescues in Wisconsin. The 1-Day Open Door Shelters were made possible by generous grants from the Watershed Animal Fund. We held a national gelding program, thanks to a grant from the ASPCA. 51 stallions were gelded through our gelding assistance program. We hope to secure funding for more gelding assistance and are so thankful that those 51 stallions are now geldings. In addition to the 51 stallions that were gelded, our shelters also gelded 23 stallions between the 3 shelters. None of the funds from the ASPCA grant were used to geld stallions at the shelters, so in total we gelded 74 stallions in 2016! Since we started rescuing in 2003, we have sheltered 4,691 animals! 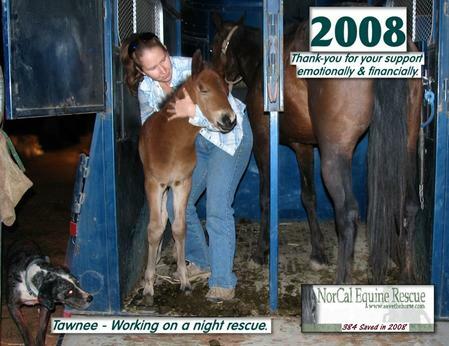 We primarily shelter horses, and that is a huge accomplishment, and we could only do it with your continued support. In 2015 we rescued 447 animals. They were 342 Horses, 24 Donkeys, 20 Ponies/Minis, 7 Mules, 6 Goats, 1 Sheep, 3 Llamas, 23 Chickens, 2 peacocks, 10 Cats, 5 dogs and 4 Rabbits. We had 119 horses surrendered into our Last Act of Kindness program, and of those 27 were able to be rehabilitated and adopted into loving homes. 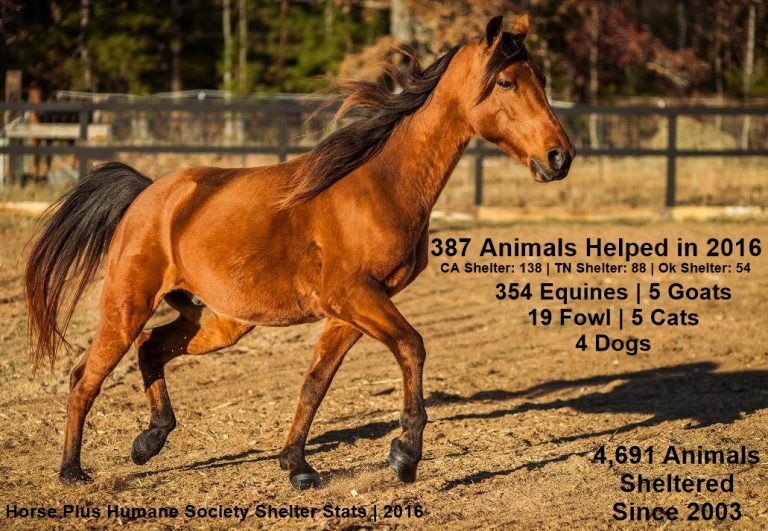 151 horses were rescued from auction, 55 of those horses were rescued because they needed humane euthanasia and were given the Last Act of Kindness and 96 of the auction rescue horses were adopted. Our Euthanasia rate was 20% including the animals rescued specifically for the Last Act of Kindness. 714 animals were rescued and found shelter. Our euthanasia rate was again very very low, this year it was less than 8%. We did have hundreds of animals surrendered for the Last Act of Kindness program who were not counted towards our euthanasia rate, however, out of the horses surrendered into the Last Act of Kindness program, 29 of them were able to be rehabilitated and adopted into loving homes! We are so thankful that we kept 714 animals from potentially entering the slaughter pipeline. We can’t thank our adopters enough who opened their hearts and homes to animals at the shelter in 2014. 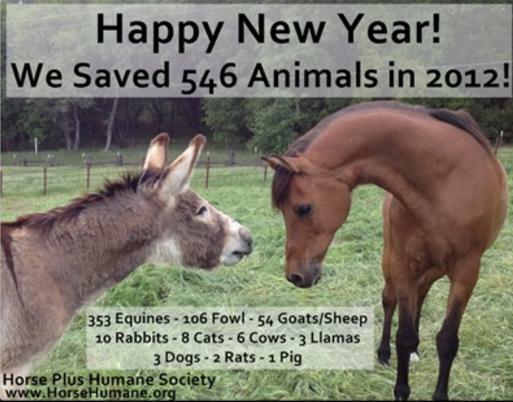 In 2013 we saved 355 equines (mostly horses,) 242 fowl (mostly roosters,) 29 sheep and goats, 9 rabbits, 3 pigs, 2 dogs and 2 guinea pigs. We couldn’t have done all that without you! 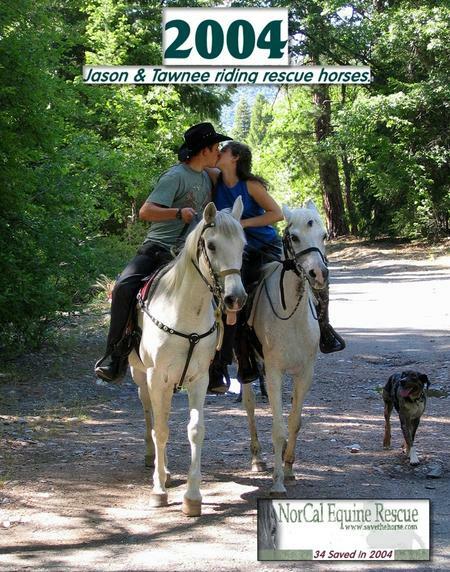 We almost rescued 1 horse every day. Out of the 193 animals, mostly horses, surrendered directly into the Last Act of Kindness program, we were able to rehab and adopt into loving homes 22 of them. We are so thankful that we have this program as most of the horses brought into this program have no other options other than die a slow, lingering painful death or be shipped to slaughter. 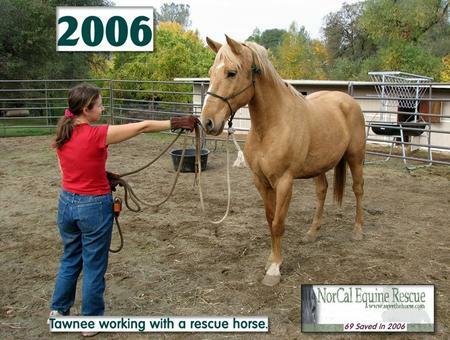 Each horse surrendered into the Last Act of Kindness program is evaluated for its quality of life, and if its prognosis is good, it is rehabbed and placed into the adoption program. 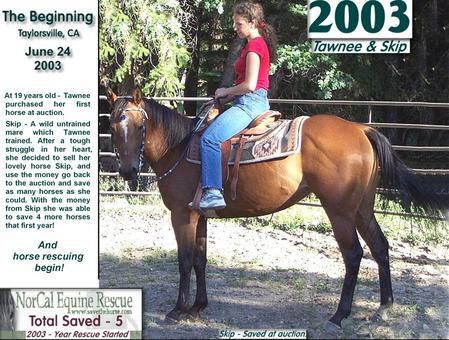 We had 77 animals, mostly horses, surrendered directly into the adoption program. All of them were adopted, with the exception of 2, who were evaluated by our vet and he recommended euthanasia due to chronic medical problems. 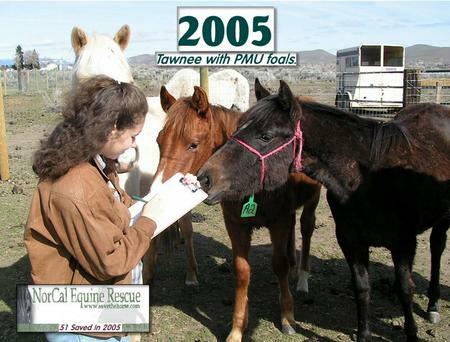 We rescued 135 horses directly from the slaughter pipeline. 69 of them were rescued in such terrible state that the Last Act of Kindness was the only loving, humane thing we could do for them. It’s amazing how people dump horses at auctions that need to be humanely euthanized due to chronic pain and failing health due to old age. It’s so sad that auctions enable owners to dump animals instead of being responsible for them in the end. 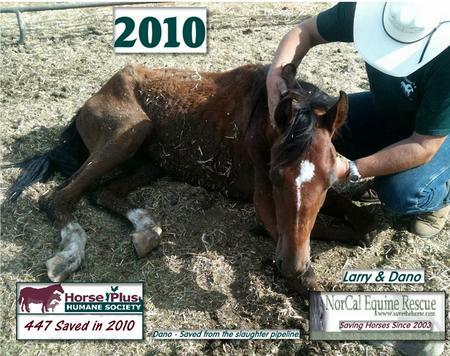 66 of the slaughter bound horses were successfully rehabbed and placed into absolutely wonderful homes! We rescued and sheltered 546 animals in 2012, which is the most animals we have ever rescued in a year. 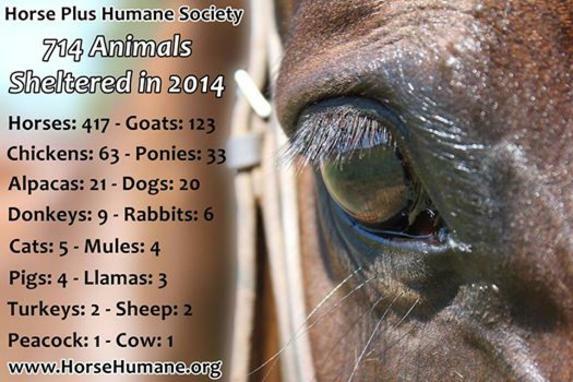 353 of those were equines, 106 fowl, 54 goats/sheep, and others. Our euthanasia was 27% in 2012, this includes animals that were owner surrendered for euthanasia and animals that were rescued specifically to be given the Last Act of Kindness so they did not have to endure the trip to slaughter. 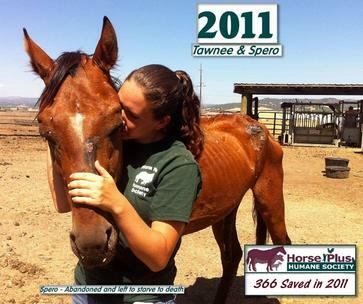 In 2011 we rescued 366 animals, mostly horses. 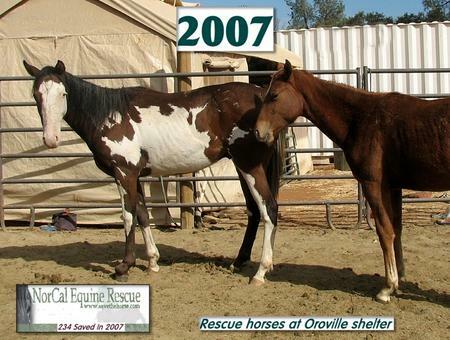 447 animals were rescued in 2010, the vast majority of those were horses. An increase of 31 animals from 2009. 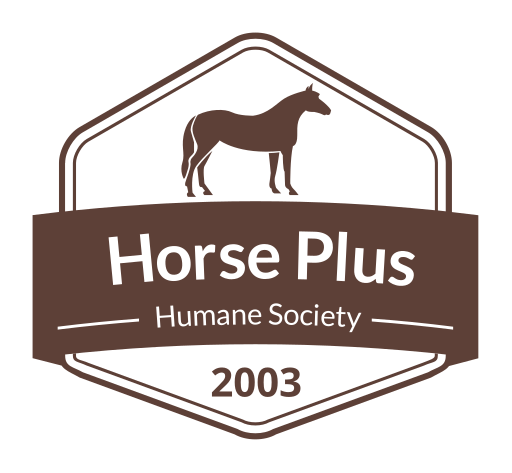 NorCal Equine Rescue changed the name to Horse Plus Humane Society.